All I remember is the poem, and that the accompanying illustrations kinda looked like they were from the 1950s. 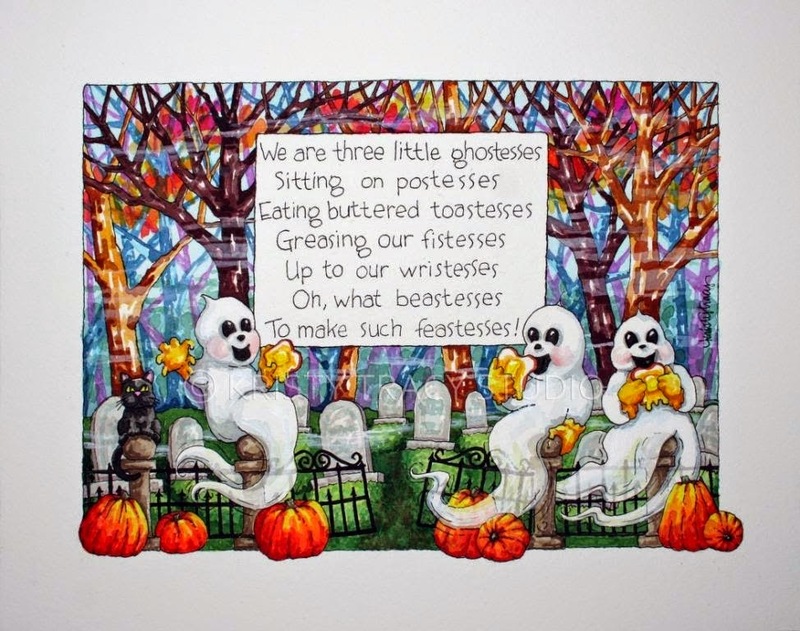 I still love reciting the poem to myself as a bit of silly fun, and thought it felt quite well with this October's theme of ghosts. If anyone knows the name of the book that contains this delightful little poem, please let me know! Oh yes, I remember this book! I've been trying to find the title or ISBN myself. I remember when I was a kid, reading it into the answering machine tape.